The world is very detailed and complex. Its objects cannot be concerned beyond the probable. Those whose dominion is design will register the interaction of physical things with physical laws. They journey through the taxonomy of type. They explore the “what” of an object. Then, based on the “why”, they develop the “how”. Architecture develops types or categories of buildings. Your very own house fits into the category of housing, or residential or domestic buildings. The place you shop and buy things that you need are in the commercial typology. Where those things are made and stored fuels our economy. This type is industrial. Where you go to school or take classes is considered to be an educational facility. Where you see your doctor for a test or an operation is called a medical facility. Going out to eat at a restaurant or traveling and staying in hotels puts you in a hospitality building. Cities, states and countries are governed by politicians and leaders in governmental buildings. Places that are sacred where people gather to worship are called religious buildings. Governmental buildings and religious buildings are often central to cities, towns and villages. Of course, places to live and work also come together in the cluster. Places where people go to hear music, see art and experience plays are called cultural institutions. So many places to visit. So many building types to identify. Can you? Most of us live in houses. But our houses are probably different. All over the world people make houses. From the time of the cave dwellers, to the migrant populations, houses have provided shelter. Patterns of settlement are often formed around types of houses. Sizes of homes vary widely around the world as well. From small homes to palaces, domestic architecture creates patterns of urbanization and density. You might find it difficult to imagine how many people in live in a house, an apartment building, a mid rise multi housing unit or a high rise housing building. 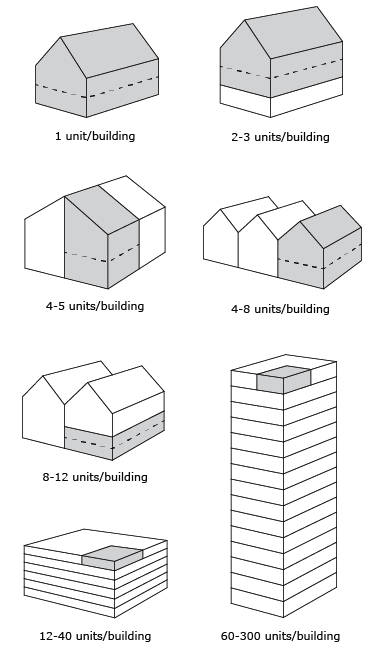 Designers and developers learn to read a building for its building density. Houses are built on the water, underground, in the ground, on the ground and above ground! There are single family homes from small to large. Some single family homes are set on extensive grounds while others are jammed together in densely populated urban areas. Town homes often line both sides of a street and offer multi-story living. Duplexes, triplexes and quads offer housing for two families to four families. Low-rise apartment buildings are usually one to four stories tall. Mid-rise apartment or condominium buildings are fours stories to eight stories or so. High rise are ten stories or taller. Can you imagine living on the 100th floor of a skyscraper? Research and draw different housing types in your city and label them. Where does the president of the United States live and work? Where are there capital buildings? Where are there embassies in foreign countries? Thee are many types of government buildings. Common ones to every town include a post office and village hall. United States has capitol buildings in each of their states. Print a US Map and locate all of the capitols of all of the states and mark them with black dots. Label the capital city for each state. If you visit those cities, you can find the capital building for that state. Take a look at the government buildings in Washington DC. Just labeling them on a map will introduce you to the work of the government! Be a world traveler and research other country capitals. Where is everyone going? Where is the place to be? Where can you find music, discovery, art and science? Where are there festivals and performances, panel discussions and parades? Cultural buildings are special buildings in a city that attract residents and tourists alike and that house objects of value or debate and events. They may be designed and constructed as buildings but they may also become symbols for a city. The Eiffel Tower can be considered a cultural structure for the city of Paris. Historical landmark buildings are considered the built heritage of a culture. Even when cultural activities take over or reuse historic structures, their presence brings a new respect to the building and the neighborhood. Culture is always be created, reevaluated and changing. Buildings also can change meaning depending upon how they are being used. Some buildings house permanent archives and become identifiable and memorable landmarks in peoples’ minds. Other cultural events are temporary and require pop ups. Take a look at your city. 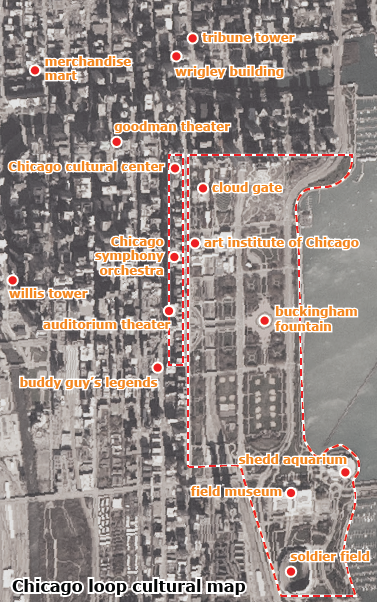 Make a cultural map showing key landmarks in red, cultural neighborhoods like a museum district or gallery district with a dotted red circle, and other cultural hot spots. An easy way is to print an image from Google Maps in black and white will help show off the red cultural sites. Be sure to make a map key with the major names of places. After you make the map, consider exploring the cultural places in your city. Where do you shop? Where can you shop? Commercial buildings are buildings where people can purchase things they need and want. They may be a local, neighborhood store. The shop might be a national chain or franchise. Shops might be clustered on a commercial corridor or street creating a shopping district. Some communities create indoor or outdoor shopping malls as central destinations. Print a map of your city and mark in orange the commercial districts. Notice how they create either local, neighborhood, corridor or community destinations. Learning environments are key destinations in communities. Libraries are community centers for learning with books and internet access. Elementary, middle and high schools are also exciting places of activities. From athletic events to special music, art and drama performances, K12 schools mix multi-generations in new learning experiences. Community colleges and institutions of higher learning offer intellectual and innovative stimulation to individuals and to communities. Schools are important learning environments for communities. They are often the draw for new families, students and residents. Each school is like a small city with a variety of room types. Draw a plan of your school labeling each of the functions. 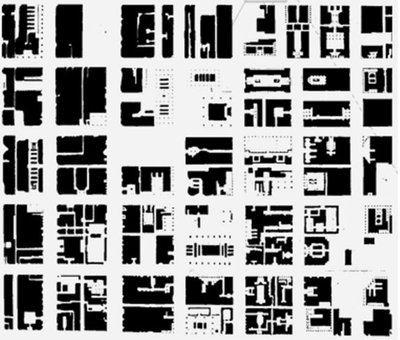 Next, correlate it to a building, room or space in the city. (For example, the principal’s office may be related to the mayor’s office.) Create a graphic of your school plan and functions and the city plan and areas that correlate to the school. See what connections you can make. Where can you hike, walk in a park, watch a ballgame, ice skate, swim, play basketball? Buildings and environments that host opportunities for exercise are recreational facilities. Some are indoor experiences and some are outdoor experiences. A city offers opportunities for every resident to enjoy healthy exercise and to follow sports teams. Take a look at your city on map. 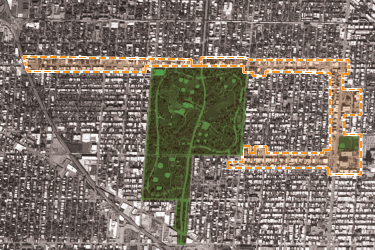 Take the same map you used before and create a land use and building use coding (coloration) for recreational outdoor spaces and sports complexes. Color the parks and nature areas green and the indoor facilities blue. Don’t forget to add school pools and gyms if they are open to the public. On your map, make a number key listing all of the recreational opportunities your community or city offer. Consider exploring a few that you have not yet experienced. Religious buildings are buildings designed and built for communities of followers. Many religious buildings are constructed on sites proclaimed sacred by other generations. A top of a hill, the center of the town, the corner of a block. Historical religious buildings have generated types such as the basilica (a long sanctuary with side aisles), central domed churches, synagogues, mosques, shrines, etc. Each religious type has its own appearance, ornamentation and rituals. Find and map the key types of religious buildings in your city. If possible put the name and date of the structures as you find them. Create a symbol key of the building shape. Include a generic box if you find religious communities taking over vacant buildings. Learn about your city’s communities in a new way. Corporate buildings are buildings created for large companies or speculative office buildings that are built and designed to be rented, leased or purchased by multiple businesses. Some buildings like the Chrysler Building in New York built for the car company, retain their name while others are given generic names so as to serve an ever changing portfolio of businesses. Most businesses rent or lease the space for an agreed upon amount of time and then finish the interior space to match the nature of their work. Key to urban corporate buildings is location; access via public transportation and parking; appearance of lobby; floor plate or square footage per floor and views. Corporate space is categorized further by Type A office space, Type B and Type C with Type A being the most fully equipped and expensive space per sf and Type C the lowest. Find the business district (s) in your city and color code them brown. Label the map Corporate Businesses. 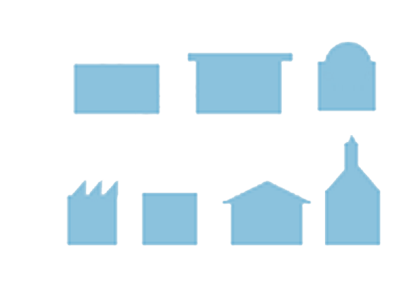 Industrial buildings are buildings that build, produce and/or manufacture large to small scale products. Heavy industrial factories such as steel plants house large complexes that do large production of heavy objects, systems and materials. Light industry are businesses that manufacture, store or prepare for transport smaller items, systems and components. Find your industrial zones in your community as these areas will employ many people. Color these gray on your map and label your map industrial. Think about what type of building you would like to have in your neighborhood. Do you need a school? A grocery store, restaurant or sports arena? Are there any vacant lots or vacant buildings nearby? What type of purpose could a new building or new use of an old building serve? Could a new or re-used building serve multiple purposes like a coffee shop/bookstore? Video rental/concessions store? Art supply store/gallery? Laundry/video library or even an Internet Cafe? Make a list of activities that would be great to have in your neighborhood. Talk to your family and friends; see which activities they think would be great to have nearby. Then, consider where a new building type might be built (or renovated), why it would be built, and who would use this building. Be certain to consider the use of the building in the future, beyond your lifetime. Make a poster with a map showing the location of your new place, name it, and list the activities that would happen in it. Think like a developer! Imagine the future! Corporate buildings can be owned by families or rented by many businesses. Recreational facilities can include large and small scale interiors and exterior environments.